New Delhi : Breaking his silence over the Samajwadi Party’s internal rift, SP supremo Mulayam Singh Yadav on Tuesday addressed the media and said, "Our family is united and so is our Samajwadi party. We stand united with full strength." It is worth mentioning that this was the first media conference the was addressed by the SP chief after Chief Minister Akhilesh Yadav sacked his uncle Shivpal Yadav from the cabinet. 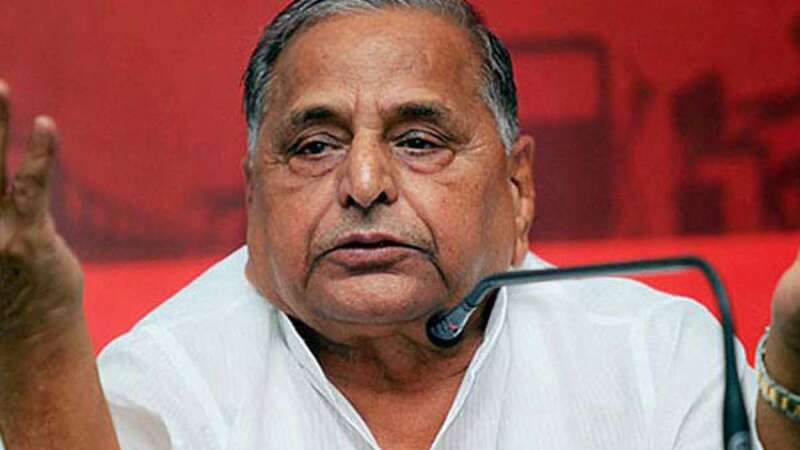 When asked to comment on who will be the next Chief Minister after getting majority in upcoming election, Mulayam Singh Yadav refused to answer the question and added, "once we get majority then question of CM will arise." Clearing the confusion whether he had asked Akhilesh to take back Shivpal or will he be reinsted, the SP patriarch said, “Shivpal has not demanded ministry back, and CM will take the final decision. I leave it to the CM to decide if he wants to take back sacked ministers." When asked about Ram Gopal Yadav, he said, "I do not give importance to Ram Gopal Yadav." It may be mentioned here that Uttar Pradesh's ruling Samajwadi Party was in turmoil on Monday as party supremo Mulayam Singh Yadav publicly pulled up his son Akhilesh Yadav at a meeting.